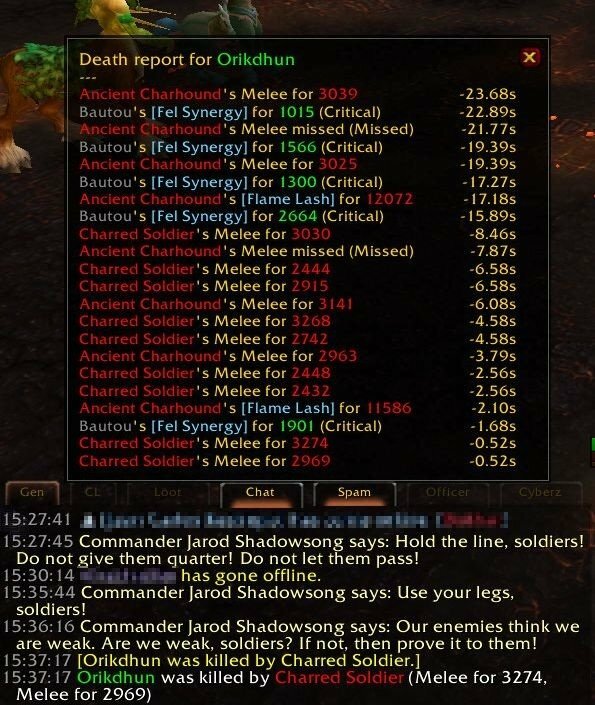 Shows death logs! 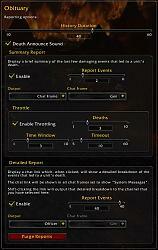 in two optional forms: A summary chat line and a detailed tooltip. The summary only shows the last few damaging abilities that hit the unit before death. 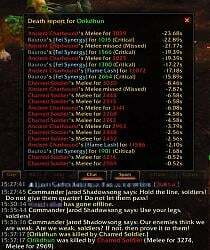 The summary view is meant to quickly show you why someone died so as to not distract you too much in the middle of a fight. The other display is the detail tooltip, which can be dumped to chat, opened by clicking on a chat link created when someone dies. The tooltip will show a combat log representation of the events leading up to the unit's death, displaying health (for grouped units), heals, hits, misses, and optionally buffs and debuffs. Based on Obituary by Timewasted of Proudmoore-US (Originally by Throngy of Thunderhorn-EU), I've been maintaining my own version of it for quite some time. Re: Re: Conflict with TipTac? I use quite a lot of addons...might have something to do with it, lol I see there's an update, if that's a fix, thank you!! Last edited by nebula : 11-30-11 at 04:46 PM. I don't know anything about LUA, but my layman's guess is that the detailed tooltip option is conflicting with tiptac and is throwing me the following LUA error upon log-in. Is there anything I can do to make these two addons compatible? 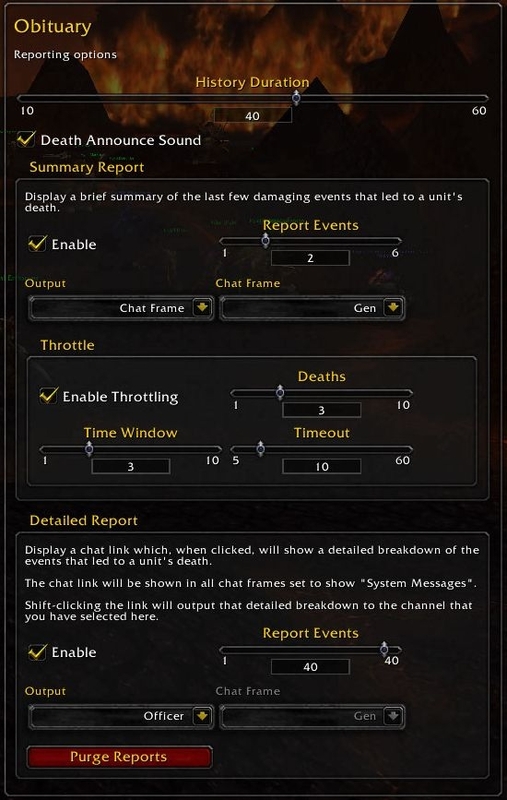 When I try to report the detailed death summary to anything but chat frame, it shows "Death report for Name" and no information. It's a very strange bug.